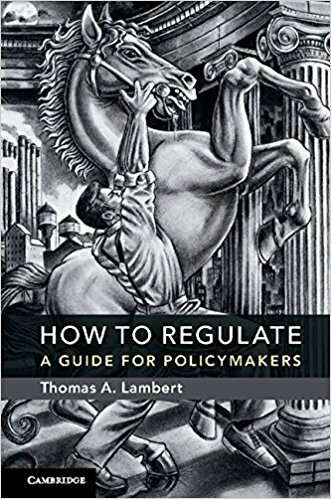 As an added testimonial (since Thom didn’t get me included on the dust jacket…no, I’m not salty about it): Last spring I used the manuscript of Thom’s book for an undergrad capstone/MS-level course on economic analysis of policy and regulation. I found it to be an excellent resource. The book provided a nice framework around which to hang various aspects of economic analysis in a variety of regulatory contexts. The material was very accessible in terms of the legal/regulatory perspective. On the economic side, Thom again strikes a nice balance of not being so remedial as to be uninteresting to students with a strong economics background while being accessible to students with less econ background. Moreover, the students very much enjoyed Thom’s style of writing, including the humor interlaced throughout. I’ll be using the book again next semester–except this time the students will have to pay for the pleasure. .